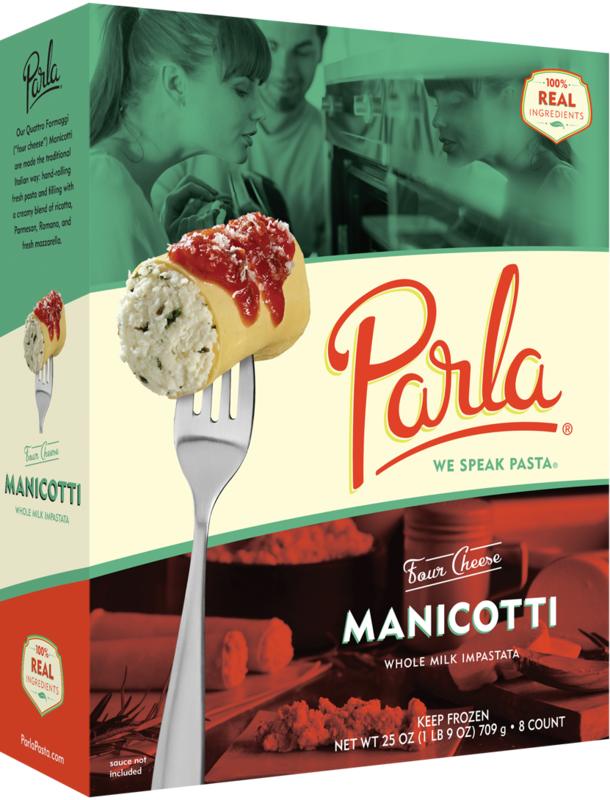 Mmm…manicotti! Parla’s version is Italy’s version, stuffed with creamy whole milk ricotta impastata cheese. Our manicotti is crafted using a simple quattro formaggi (“four cheeses”) recipe of whole milk ricotta impastata cheese; freshly grated, imported Parmesan and Romano cheeses; and mozzarella cheese to achieve a slightly firm, but creamy filling in our hand-rolled, thin, golden pasta. These are best served with a marinara, meat or Alfredo sauce. They must be covered in sauce to prevent the pasta from undercooking and becoming hard.